We import fresh tea directly from Japan and ship out to you. 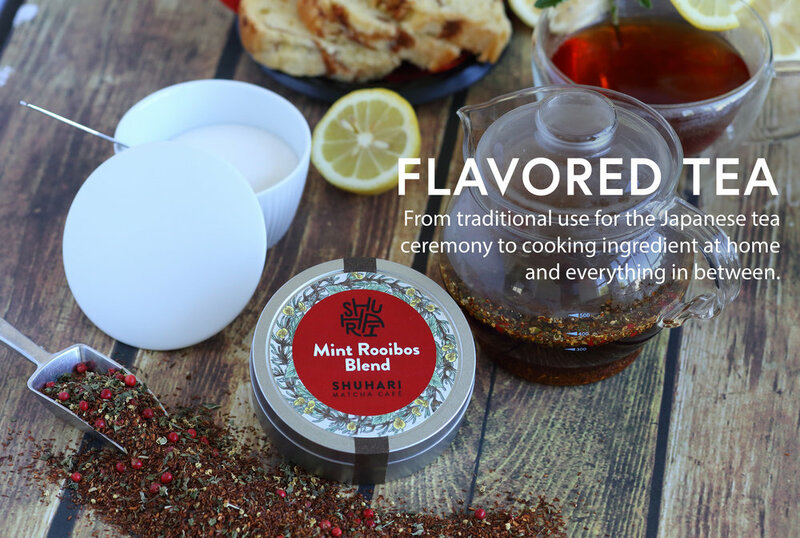 Our experience is not just about the classics, but also about reinterpreting green tea traditions. Our full line-up of green tea beverages will give you a taste of what Japanese green tea was and what it will become. Matcha is a nutrient-rich green tea powder that is high in antioxidants and has a rich, creamy flavor. SHUHARI Matcha Café is proud to serve 100% authentic Japanese Matcha. Matcha is traditionally used for tea ceremonies but also used in modern cooking and baking in recent years. Located on Abbot Kinney Blvd., SHUHARI Matcha Café is an authentic Japanese green tea café bringing an expertly curated selection of Japan's finest green teas to your cup. We balance the beauty of the Japanese tea ceremony with the energy of modern life.